Tata now owns Land Rover, one of the most iconic SUV brands of the world. Ideas and technologies from the British brand are flowing down to the Tata end as well, and we will soon have 5 new Tata SUVs featuring Land Rover inputs. Here’s all you need to know. The Safari was the flagship model for the company till the Aria came along. When it was launched in 1998, it was one of the first major SUVs to be sold in the country and a lot of people wanted one. It had a lot of aspirational value. However the car hasn’t seen any major update since then in terms of interior or exterior design. Yes, mechanically there have been a lot of changes and the Safari now has a very powerful engine making 154 Bhp and 400 Nm but still, it is only managing to sell around 500 units/month whereas the Scorpio is doing more than 3500 units consistently. Tata has begun working on an all new Safari now. Now that they own Land Rover, the new vehicle will be based on the L550 platform from Land Rover, a platform that the Discovery Sport is based on. Tata will certainly seek help from the LR engineers to help make the Safari look more attractive, have better dynamics and off-roading capabilities, and most importantly, better and more premium interiors. 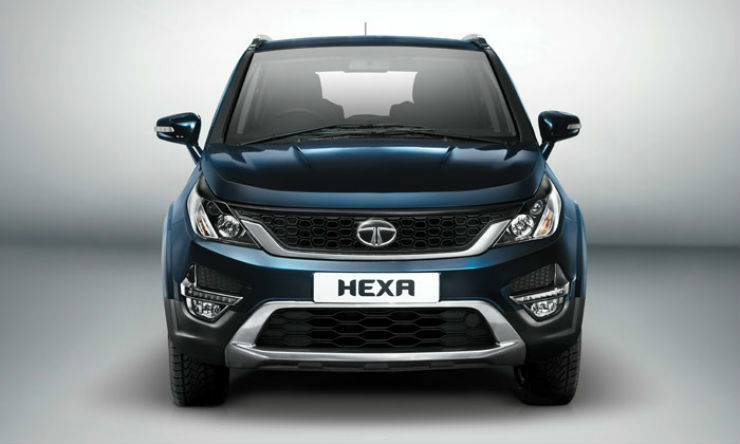 The Hexa is basically a replacement for the Aria and will take on the XUV500 when it is launched. The vehicle is expected to be launched sometime this year. The Hexa, though a Tata product has a lot of input from Land Rover. The most important feature is the fact that the crossover will have is inspired from Land Rover’s Terrain Response System. The Hexa will get driving modes that have the option of Comfort, Dynamic, Rough road and Auto. Also, the vehicle will come with 4wd system. Powering it is the same 2.2 liter engine that does duty on the Storme and makes 154 Bhp and 400 Nm. The engine will come mated to either a 6 speed manual or a 6 speed automatic gearbox. On the inside, the Hexa will offer a 5″ touch screen system with a 10 speaker system with a sub-woofer and amplifier. It will also have mood lighting with multi colour option. 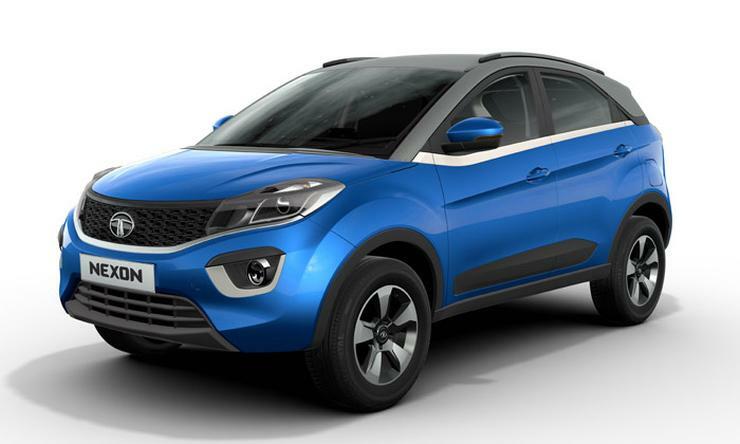 The Nexon is the compact SUV which will take on the Brezza and the Ecosport when launched. It has a muscular design and looks a lot more like an SUV than both the Brezza and Ecosport. It will have 200 mm ground clearance and come with 16″ alloys. It’ll have projector headlamps with DRLs and LED tail lamps. Under the hood a new 1.5 liter diesel engine is expected. The engine makes 108 Bhp and 260 Nm making it the most powerful in the segment. The engine will also be mated to a 6 speed manual gearbox and have 3 driving modes on offer. It is still not clear which petrol engine will come with the Nexon. They could either use the 1.2 liter unit from the Bolt and Zest or use a turbocharged version of the 1.2 liter unit on the Tiago.The latter is what is expected on the Tiago Sport as well. On the inside, the Nexon will feature a 6.5″ touch screen system and will have a 8 speaker Harmon sound system. This is going to be Tata’s next big SUV. The Q501 and Q502 will be the flagship SUV from the company. Since they are working on a 5 seater version and a 7 seater version, they have 2 different code names and hence 2 different models. The Q twins will be built to take on the Ford Endeavour and Toyota Fortuner. This will also share its underpinnings with the all new Discovery Sport and is based on the same L550 platform. 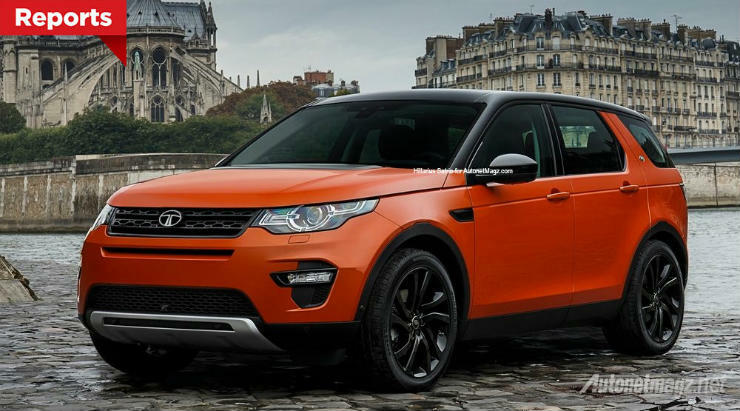 It is reported that the new vehicle will share quite a lot of structural components with the Discovery Sport that is built in the facility at Pune. A new 2.0 liter turbo diesel engine is expected on the vehicle. It will make around 170 Bhp. Manual, automatic as well as 2wd and 4wd versions all are expected with the new Q501 and 502. The vehicle will most probably be showcased at the 2018 Delhi Auto Expo post which it’ll be launched.